Over the past few months, cryptocurrencies have been on a wild and harrowing ride. However, despite the recent setbacks, there are still plenty of new investors entering the market. In fact, a recent Forbes article declared, “Despite Bitcoin‘s ‘Sell-Off’ The Cryptocurrency Space Continues to Attract Investors.” Clearly, there is growing acceptance that cryptocurrencies and blockchain technology represent the future of finance. Of course, even the newest of entrants to this market recognize some of the inherent security risks involved with cryptocurrencies. It’s rare to go more than a few months without a high-profile security breach or scare; the most recent example was just last month, when buzz over a potential hack on the Binance exchange sent the cryptocurrency market tumbling. This underscores how critical it is for investors to not only understand digital currencies themselves, but also the best way to invest in and secure them. In this article, we’ll discuss some top options for investing in cryptocurrencies, and the accompanying security considerations. These strategies are relatively analogous to existing short-term strategies for investing in traditional stocks. With day trading, you watch the markets at all times and strategically buy and sell on many of the rises and dips. Swing trading takes just a slightly longer-term approach, with positions opened and closed every few days or weeks. Once a typo made by a seemingly drunk individual, the word has now become a mainstream. In short, to “HODL” is to hold your cryptocurrencies and never sell them. People that adhere to this doctrine generally believe that cryptocurrencies are the future and that they will continue to grow in value, so the best way to acquire wealth with digital currencies is to simply buy and HODL, and pay no regard to any fluctuation in value. HODL-ing is a strategy that is more in line with traditional, buy-and-hold investors. Think of this as buying a mutual fund for long-term appreciation: Buy some now with the belief that it is on a solid trajectory, and let it sit until you need those funds. However, when it comes to investing in cryptocurrencies, there are inherent risks even with this approach. While some coins, such as Bitcoin and Ethereum, are relatively established, cryptocurrencies in general have a history littered with failures. As an example, you can view a running tally of failed currencies at deadcoins.com. This is why it’s important for investors to do their research before buying any currency – and especially the newest coins to enter the market. And, since the HODL strategy requires investors to store their assets for an extended period of time, thieves and fraudsters have more opportunity over the long-term horizon to get their hands on your coins if they’re not properly protected. One of the newest strategies to acquire cryptocurrencies is through a Digital Currency IRA, also referred to as a “Bitcoin IRA”. This is just like your typical IRA that allows you to save for retirement with certain tax benefits. 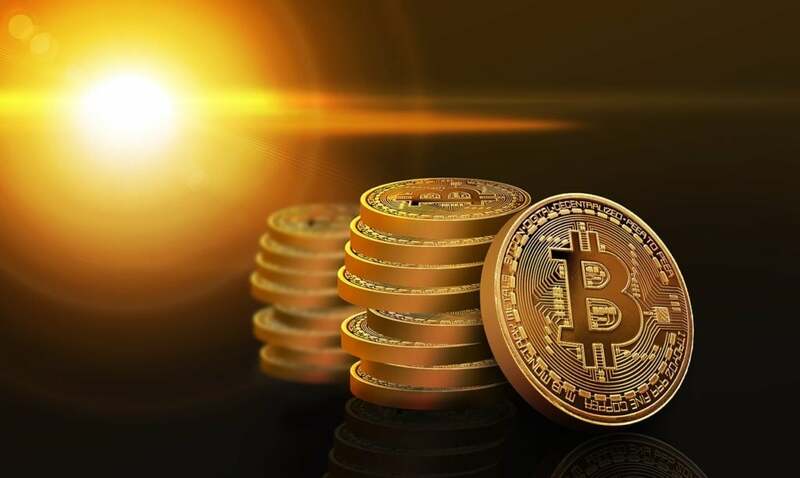 The key distinction, however, is that you can invest in some of the most popular digital currencies, such as Bitcoin, Ethereum, Ripple and Litecoin, directly within your retirement account. For many, this strategy combines the best of two worlds. You can reap the benefits of digital currencies, while taking advantage of tax-deferred growth. If you choose this approach, you won’t be actively trading. Instead, you’ll use some of your IRA funds to buy and store cryptocurrency. Of course, should you ever like to sell, you are free to do so. As long as you keep your funds within your IRA umbrella, there are no tax implications or penalties. Since Digital Currency IRAs are offered through third-party firms with expertise in retirement investments, alternative assets and security, investors can rest easy knowing that their cryptocurrency nest egg is in well-qualified hands. Whichever strategy you choose to follow for investing in cryptocurrencies, remember: You absolutely must consider how to store them. Consider all of the safeguards that your bank puts into place to ensure the security of your checking or savings account. With cryptocurrency, the burden of this responsibility shifts to you. What exactly is “hot” and “cold” storage? A “hot” wallet is connected to the Internet, while a “cold” wallet is physically disconnected. Hot wallets offer the convenience of immediacy, and are therefore often used by active investors who day trade or swing trade. However, with this convenience comes a significant risk of hacking. There are many wallet providers out there. Are they safe? Have they been hacked? Hot wallets – especially those provided by exchanges – are at risk. If an exchange is breached, hackers could steal your cryptocurrencies. One of the most notorious hacks was against the Mt. Gox exchange, in which $460 million was stolen from its users. Another more recent example is the Bitfinex hack on the BitGo wallet in 2016. How secure are all these different types of storage options? On one end of the spectrum, any type of hot wallet, including online, mobile, and desktop wallets, are relatively insecure. As long as your device/wallet is connected to the Internet, it is at risk of being hacked. On the other end, hardware wallets and paper wallets are very secure. While neither is connected to the Internet, a hardware wallet might give you more peace of mind. A paper wallet is just as it sounds: The details of your wallet are stored on a piece of paper. If you lose that piece of paper or it damaged, you might lose access to your assets. How often will I be actively trading? If you will be an active trader, you may find that the benefit of immediacy outweighs the higher security risk. That is your decision to make. On the other hand, if you will follow a “HODL” strategy or invest in a Digital Currency IRA, you may sleep easier with your currencies in cold storage. For cold wallets, how can I ensure the physical security of where they’re stored? If your hardware wallet or paper wallet is lost, stolen or damaged, you have also lost your assets. Therefore, if you choose to go this route, think about what you will do with the wallet. Will you purchase a safe for your home or place the wallet in a safe deposit box at a bank? Additionally, services like Digital Currency IRAs offer unique security solutions for investors’ digital assets, including cold storage, maximum security vaults, armed guards and even insurance policies against theft and fraud. In short, there are a multitude of considerations to take into account before deciding to invest in cryptocurrencies. These security questions will help you determine your personal risk tolerance, which will impact your overall strategy for investing in and securing your digital assets. Generally speaking, however, if you choose to pursue a short-term investment strategy, you will likely need to strike a balance between immediacy and security. On the other hand, for long-term investors, security will be the primary consideration. This is especially true for Digital Currency IRAs, which are not simply long-term investment vehicles, but a critical piece of your retirement strategy.